This article will explain simply and exactly what a “Vaccine” is and is not. First of all, a vaccine is administered one of three ways by needle injection, orally by mouth, or by a nasal spray, depending upon the vaccine administered. There are different kinds of vaccines on the medical marketplace today. All vaccines contain a weakened organism or a killed organism. The vaccine’s purpose is to produce in your body a certain level of immunity against the organism of which its contents are made. Each vaccine’s purpose is to offer you protection against certain diseases or at least minimize the effects of the illness on your body. 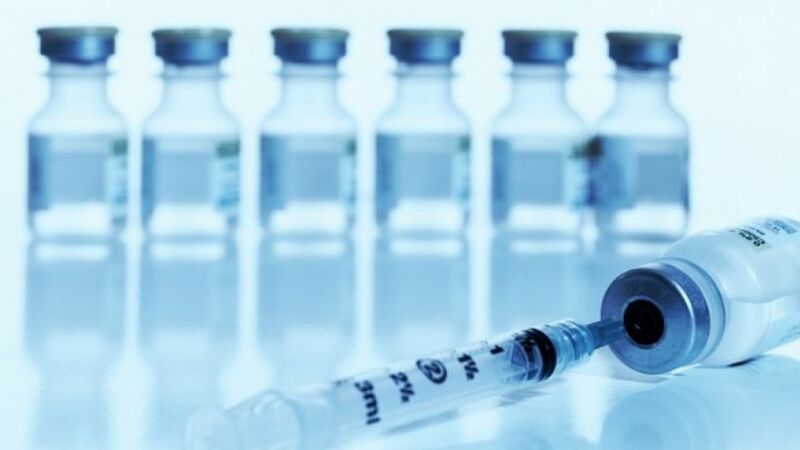 Even since vaccines were born, there has been a controversy within the medical community and individuals alike as to the necessity and safety of certain vaccines. Many people do not believe the worth of these vaccines, while much more people know that vaccines lessen all kinds of disease processes and save lives. For you to understand the risks and benefits of any vaccine that is offered to you, you must that the responsibility of delving deeper into any information available and weigh the pros and cons to make an informed decision as to whether you or your family should take any vaccine. Discover how the medical community monitors and makes any vaccine safe, providing many more benefits to you. Some vaccines given as a child require a follow-up booster injection after several years. As with everything else in life you are unique. The way in which you may react to anything is unlike your neighbor. Individuals respond differently to vaccination. For example, when receiving the flu vaccination, you may have no side effects. Another person may complain of generalized ill feelings. Someone else may complain of some flu symptoms such as nausea, vomiting, and diarrhea. None of these side effects are long-lasting and are short-lived causing a bit of inconvenience. Making an informed decision regarding vaccinations is vital to you and your children’s health and well-being. Research shows that some of the diseases that were called “Eliminated” due to this prevention process are now starting to rear their ugly heads. This surge in some rarely seen diseases is because many people feel that vaccinations are not necessary or important in this day and age. People are refusing any protection that vaccinations offer them. Many parents are refusing to have their children vaccinated with routine childhood vaccinations due to possible side effects. Each state has certain requirements as to what protection they require children and adults have as a resident of that state. Check with your state regarding the rules and regulations regarding vaccinations. When traveling abroad, certain vaccinations are required before you can enter your chosen country. You must present documentation that you are protected by certain disease processes prevalent in that country. You need to worry about microscopic bugs, the bugs you cannot see with the human eye. These microscopic germs you cannot see are the carriers of a lot of disease and illness. You never stop to think about how clean the person’s hands were who used your shopping cart before you. What did that person do last before grabbing the shopping cart you are now holding in your hands? Did that person have their hands in their mouth? Did the person go to the restroom and not wash their hands? Did the person sneeze or cough into their hands? While many people wash their hands before leaving a restroom, there are still some people who do not routinely wash their hands. As sad as this fact is, many people still visit the bathroom and do not wash their hands after they finish using the toilet. If this makes you cringe, it should, because this scenario is all too true. What if someone had the flu symptoms and was coughing and sneezing into their hands and then placed their hands on your shopping cart where your hands now rest? Oops, you have an itchy nose and reach a hand up to scratch your face with a hand that was holding someone’s sneeze or a cough. We cannot see these microscopic germs, but these bacteria are present in and on everything we touch. You can feel pretty comfortable in your home; however, when you are out in the public domain with strangers all around, you must be cautious and think the very worst you can to stay relatively healthy. While you cannot eliminate these nasty germs from your surroundings, you can take some steps significantly decreasing unknown microscopic bacteria in your environment by using some plain and simple common sense. Carry a small bottle of hand sanitizer in a pocket or purse and use it before and after using a shopping cart, before eating, after leaving a public restroom and just because it is time to disinfect your hands. If a store supplies bacterial wipes at cart corrals, grab some wipes and cleanse the cart handles before using. You can carry wipes wherever you go. When a store display a bottle of hand sanitizer, use some. When you have to sneeze or cough, do so into a tissue. If no tissue is available, cough or sneeze into your upper arm or crook of your elbow, and use sanitizer afterward. A sneeze is believed to travel, at least, 400 miles per hour. sanitizer afterward. If you have the flu symptoms or a severe cold, never go out into the public, stay home. If you must go out and you are ill, wear a mask. Be sure to get your pneumonia and flu shot when due. Never share eating or drinking utensils. See your doctor if you are ill and not getting better. Never use anything that you think could be contaminated by germs like towels, washcloths, and makeup. How to Wash Your Hands in a Public Restroom. Turn on the faucet with a piece of dry paper towel. Wash hands well with warm soapy water. Do not turn faucets off until you dry your hands well. Grab a piece of dry paper towel to turn the faucet handles off. People leave germs on the faucet handles after using the toilet. These bacteria can penetrate wet paper towels and go back onto your hands. Using common sense is the best way to help eliminate the spread of germs.